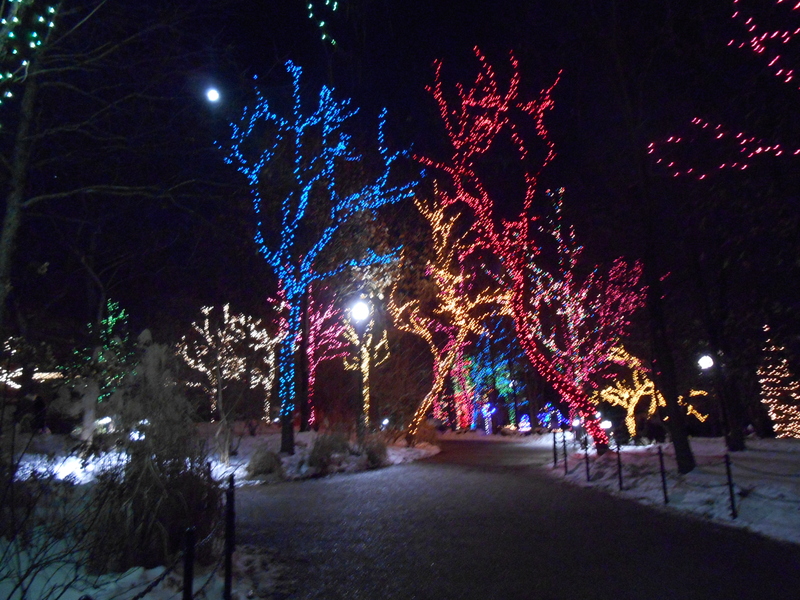 I think, almost every zoo has some form or another of zoo lights during the winter holidays. 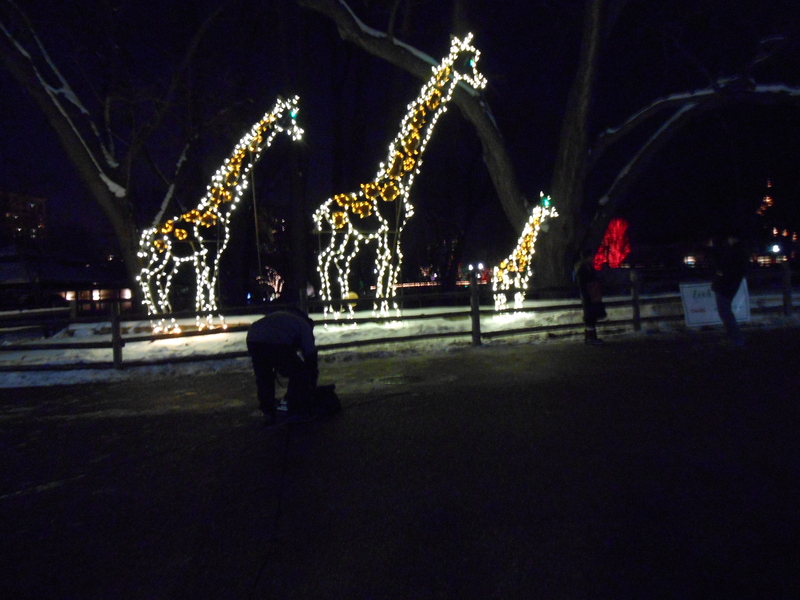 I’ve been to the one hosted by the St.Louis zoo, but this year I went to the zoolights at Lincoln Park zoo. 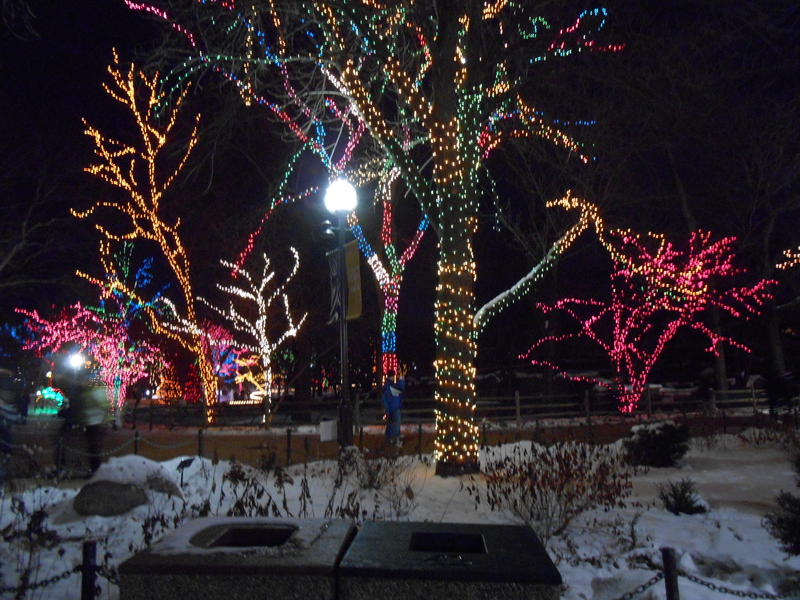 The Lincoln Park zoo is free and for their Zoolights they are open until 9pm. If you bring a car then you have to pay for parking. An easy way to get to the zoo is to take the 22 bus to Armitage and Clark and it’s a short walk from there. 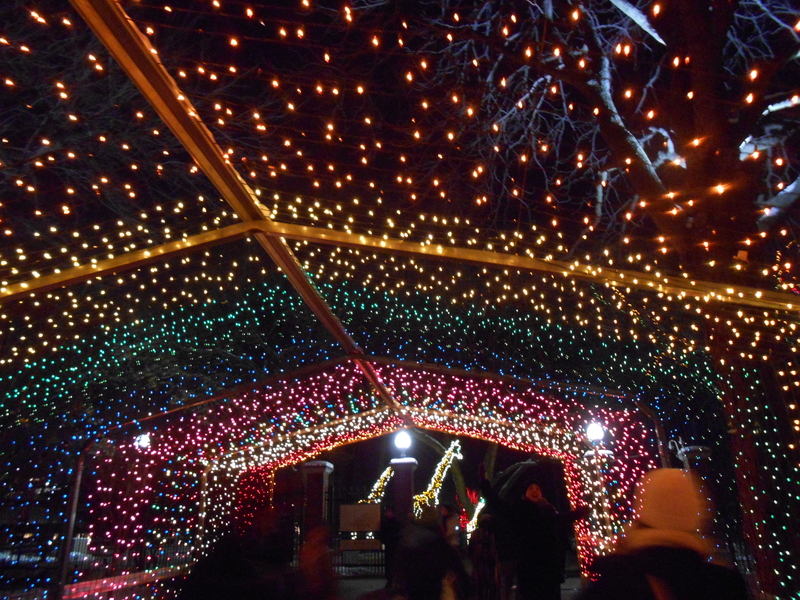 Zoolights is where they cover the zoo with holiday lights and holiday music play throughout the zoo. 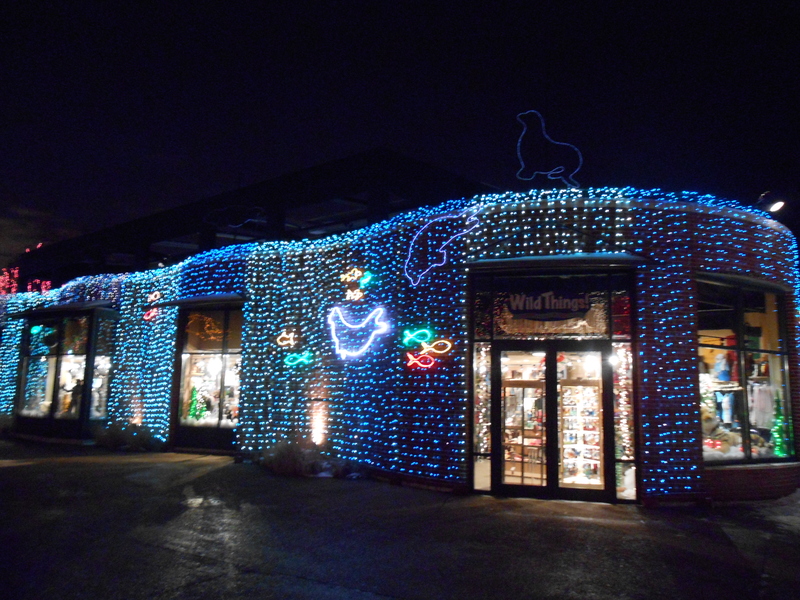 A couple of the animal houses are open during zoo lights, though most of the animals are asleep. The Regenstein Center for African Apes is open. The Helen Brach Primate House is open and they have workers set up with tables to guide guests through crafts. They have Santa in the Kovler Lion House where both children and adults alike can sit with Santa for a professional photo or for a quick personal photo. They also have ice skating for $5 (and $5 to rent skates) The skating rink is open during the day and also until March. In the Regenstien Small-Mammal Reptile House they have keeper chats early in the evening and then they play holiday movies (“Elf” was playing while I was there late in the evening). 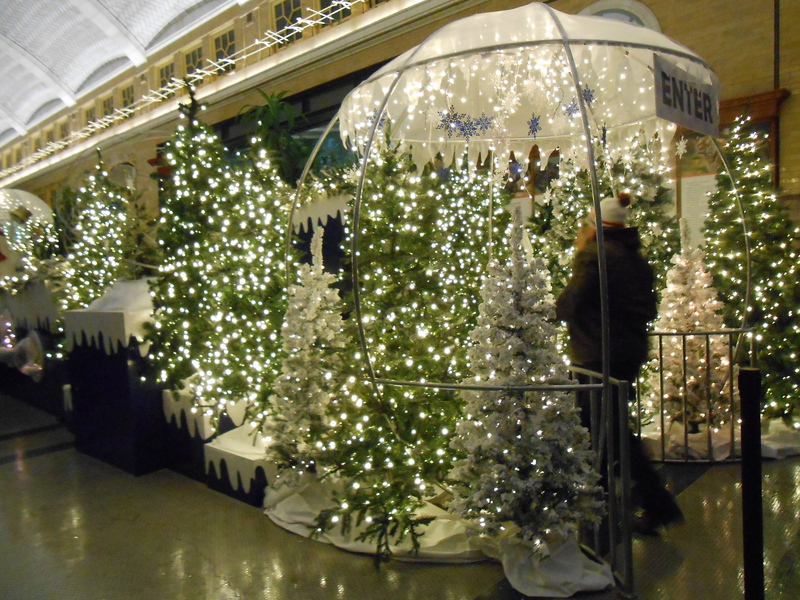 There is also a Holiday Express Train that runs for about $2.50 a ride. The farm in the zoo and the children’s zoo are also open. 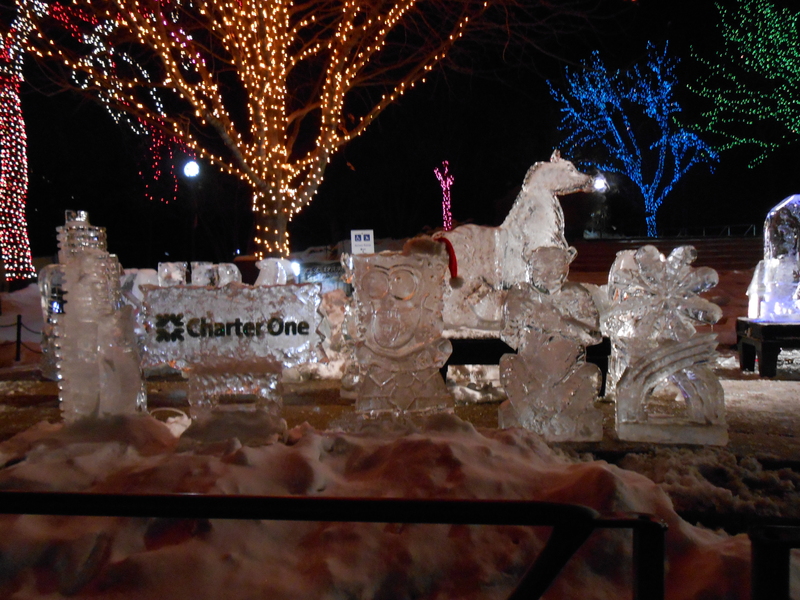 You can also check out some ice sculptures. . They also sell hot chocolates and spiced wines and other alchoholic beverages. 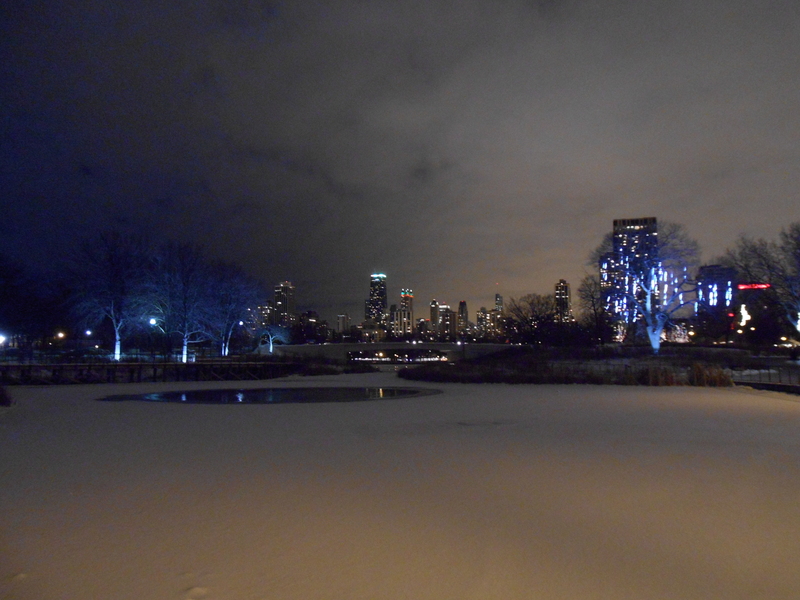 It’s pretty cool and a nice walk around for free. 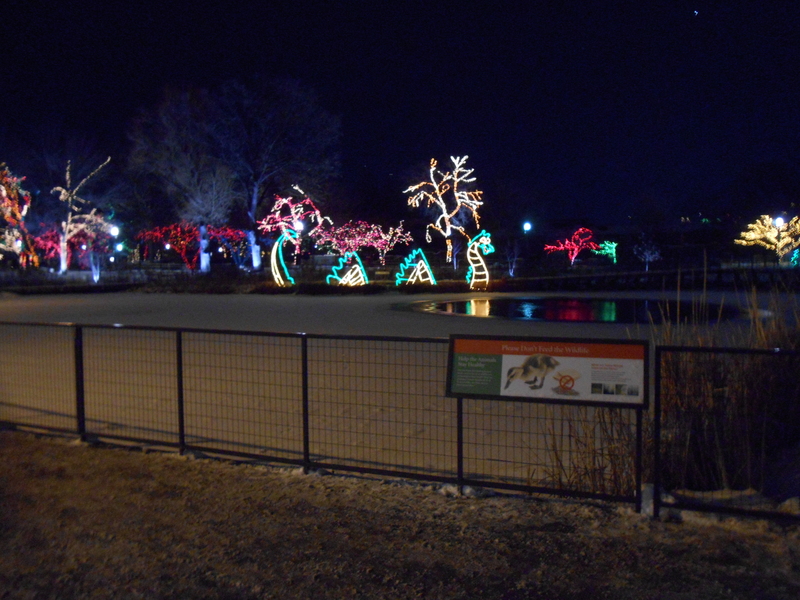 Zoolights start in late November and continue onto early January from 5pm-9pm.